On 10-12 October 2018, the Eighth session of the Meeting of the Parties to the UNECE Water Convention is taking place in Astana in the light of Kazakhstan taking over the chairmanship of the Water Convention Bureau for the next three years. The UNECE Water Convention is considered as one of the key United Nations legal and institutional framework promoting sustainable use of transboundary water resources through enhanced cooperation. It also supports the achievement of the Sustainable Development Goals (SDGs) and SDG target 6.5 in particular on transboundary water cooperation. One of the subjects for discussion during the Astana conference will be monitoring of the indicator 6.5.2 on transboundary water cooperation. 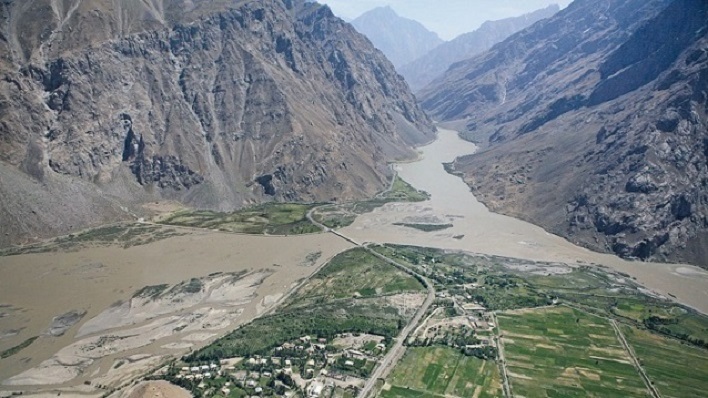 As co-custodians of the Indicator 6.5.2, UNESCO and UNECE produced a report presenting the baseline situation for transboundary water cooperation all over the world. The report is part of a series that track progress towards the various water-related targets set out in the global agenda. It is based on country data, compiled and verified by the UN agencies responsible, sometimes complemented by data from other sources. The report presents the results of the initial reporting exercise on indicator 6.5.2 carried out in 2017-2018. It offers valuable insights into the progress achieved in establishing operational arrangements for transboundary cooperation and the gaps that remain. The report shows that the Asia region, including Central Asia, has a very low rate of reporting and validating results. And even the available limited data for Asian countries demonstrate that institutionalized transboundary cooperation is yet not advanced in the region. This reporting exercise also showed significant difference in the degree of cooperation on surface water and groundwater. In this regard, UNESCO’s International Hydrological Programme (IHP) works to facilitate international dialogue on transboundary water cooperation. IHP currently implements and coordinates 14 worldwide initiatives that contribute to the achievement of the water-related SDGs. These initiatives facilitate the exchange of scientific information between IHP and water stakeholders at the regional level through establishing and maintaining networks of scientists and water professionals. To address the lack of data on transboundary groundwater, in 2000, the IHP launched the International Shared Aquifer Resources Management (ISARM) Programme, which made available to Member States, experts and the global community a full range of scientific tools, methodologies, case studies and guidelines for informed decision-making applied to transboundary aquifers and the related surface waters and ecosystems. The UNESCO inventory and the mapping of transboundary aquifer constitutes a technical reference, which has been crucial for example in the designing of the SDG indicator 6.5.2 on transboundary water cooperation and its monitoring. The full Report on Indicator 6.5.2 is available here.